A novel approach using the investigational toll-like receptor 9 (TLR9) agonist CMP-001 in combination with pembrolizumab (Keytruda) may have the potential to reverse resistance to anti–PD-1 therapy, according to data from a preliminary phase 1b clinical trial. 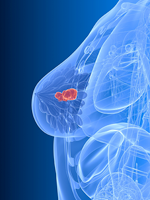 The addition of CMP-001 to pembrolizumab was well-tolerated, with encouraging antitumor responses in patients with metastatic melanoma that progressed with or after treatment with a PD-1 inhibitor. CMP-001 was injected directly into a target lesion, and in this early study, injected and noninjected tumors exhibited dramatic shrinkage (ie, abscopal effects) in treated patients. “The abscopal effect observed in these patients is a hallmark of successful intratumoral immunotherapy treatment,” said lead investigator Mohammed Milhem, MD, Director, Melanoma Program, Holden Comprehensive Cancer Center, University of Iowa Hospitals and Clinics, Iowa City, at the 2018 American Association for Cancer Research (AACR) annual meeting. “Based on these preliminary findings, the combination of CMP-001 and pembrolizumab appears to have a manageable safety profile and meaningful clinical activity,” Dr Milhem said. “If the current findings are confirmed, this combination could offer a new treatment option for patients with advanced melanoma who are not responsive to pembrolizumab,” he added. Dr Milhem presented results on 44 patients enrolled in the dose-escalation phase of the trial, as well as on 41 patients participating in the ongoing dose-expansion phase. Participants in the dose-expansion phase received intratumoral CMP-001 injections of 1 mg, 3 mg, 5 mg, 7.5 mg, or 10 mg plus pembrolizumab on a weekly or every-3-weeks schedule. The maximum tolerated dose was not reached. For the dose-expansion phase, the dose of CMP-001 brought forward was 5 mg weekly plus pembrolizumab, with the option of increasing to 10 mg. The median number of previous therapies was 2. At study entry, 91% of patients had progressive disease and 9% had stable disease. Patients with active central nervous system metastases were excluded. In all patients, the best objective response rate (ORR) was 22%, according to the RECIST criteria. Two patients had complete responses and 13 had partial responses. The ORR was 23% in the weekly arm and 15% in the every-3-weeks arm. The majority of patients had responses lasting >6 months, and several patients had responses lasting at least 1 year. Thirteen of 18 responders are currently in the study, and the median duration of response had not been reached at the time of the AACR meeting. “Responders showed a rapid reduction in target lesions from baseline, and responses were durable. There was a trend toward improved response in the weekly dosing cohort and in the cohort with lower tumor burden,” Dr Milhem said. A weekly schedule will be used in the phase 2 clinical trial. Radiologic criteria do not tell the whole story. At the meeting, Dr Milhem shared photos of individual cases showing striking tumor regression and abscopal effects after just 1 week of therapy. In addition, CMP-001 was generally well-tolerated. “Most side effects occurred 1 to 4 hours after CMP-001 injection and resolved with symptomatic management,” Dr Milhem said. Adverse events included pyrexia, chills, nausea, and vomiting. Grade 3 hypotension was also observed. CMP-001 is composed of CpG DNA and a viruslike particle. The TLR9 agonist activates plasmacy­toid dendritic cells (pDC), which promote an immune response. In the study, higher levels of pDC were associated with improved response. “This suggests that pDC may be a biomarker for response,” Dr Milhem said.